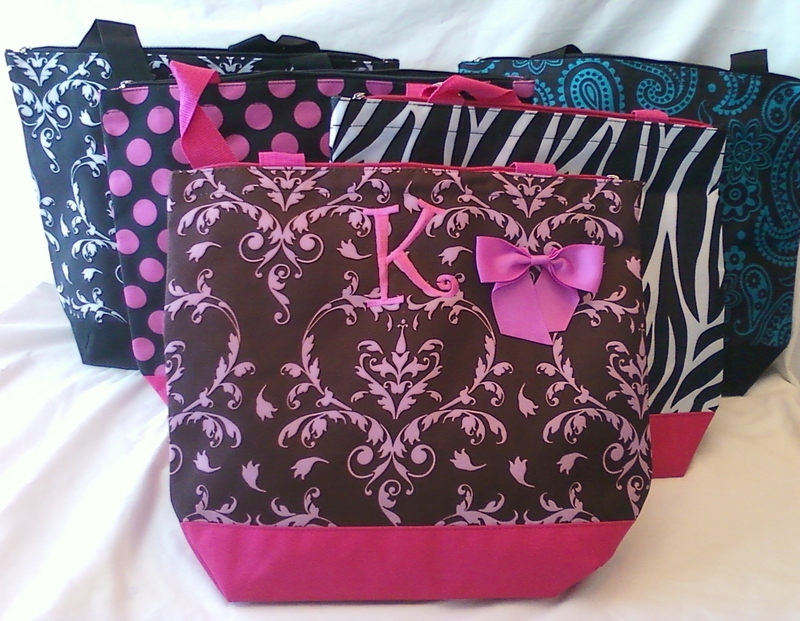 These colorful tote bags are perfect to use as a diaper bag, beach bag, overnight bag, etc. Give them as gifts to bridesmaids, friends, etc. Each tote bag can be monogrammed with a single letter. Made of canvas construction and fully linned. The totes have zip top closure. Each bag measures approx. 16 X 14 X 4 with 11 inch drop handles.